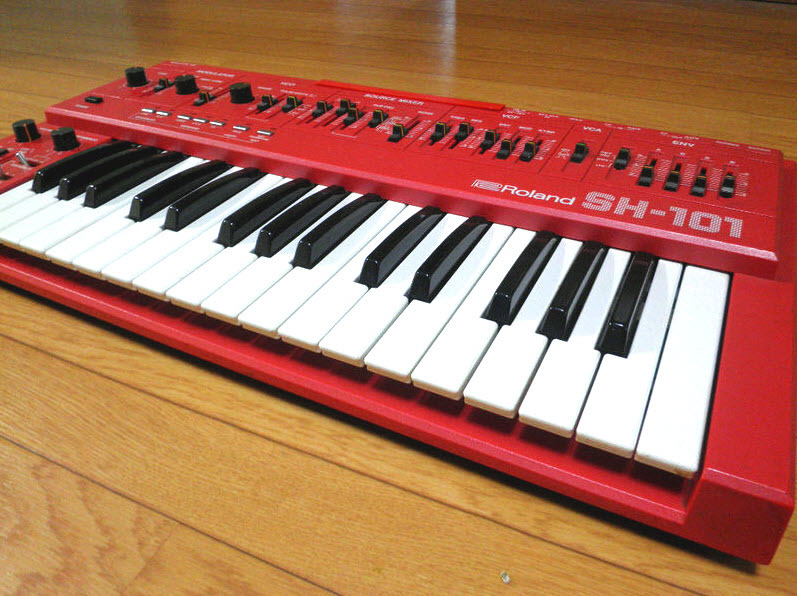 Well, I finally broke down yesterday and bought a used Roland SH-101 in Red from a good friend here in Japan. As many of you know I usually find pretty good deals in Japan on synth hardware and even find free keyboards. This allows me to save up a bit more for synthesizers that are quite a bit harder for me to find or acquire. Such is the case with the Roland SH-101. I paid a fair amount for this Red Roland SH-101 beauty. Actually for a red one I think I got it much less then what they are going for in mint condition so I think overall I did pretty well. 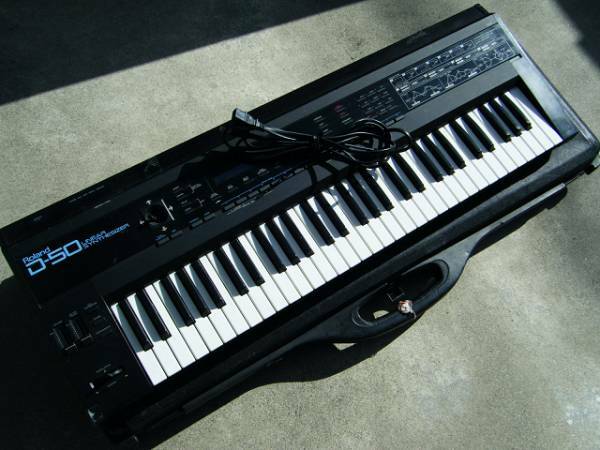 I know I will never sell the SH-101 and will likely use it a lot with my other synth gear. 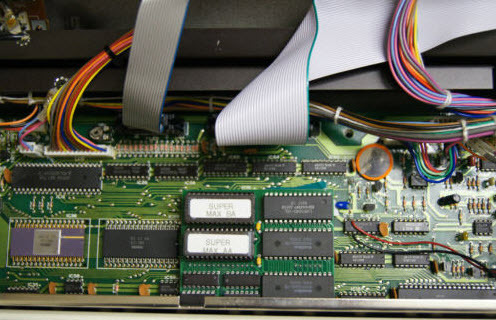 I’m looking forward to also connecting it to my Roland SH-1 for some cool layering and to trigger the SH-1 with the SH-101 arp and sequencer via CV. That should be really fun. Why buy the Roland SH-101? Well for me personally I love synthpop as someone who experienced and grew up listening to it in the 80’s. The basslines, melodies, and other sounds you can get with the Roland SH-101 work very well with synthpop and so I knew I had to have one. I bought the red version simply because that is what my friend was selling and the price was almost the same as what the grey version was selling for so I thought why not get the red. 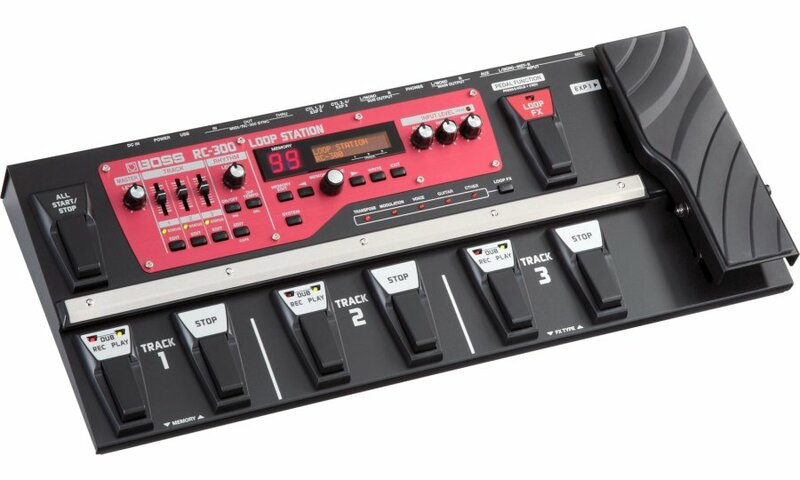 I actually like the red color and it will look nice up against my black Roland SH-1. I also have a Yamaha CS-10 too so it will be interesting to compare the sound. Furthermore, playing the Roland SH-101 along with the Polyphonic Roland Juno-6 and 106 will be a blast too. Creating some synthpop grooves and melodies should be loads of fun. Another reason why I bought a Roland SH-101 is both my young daughters are getting heavily into synthesizers and synthpop in Japan. Synthpop is actually quite popular in Japan and I feel it will be unique and exciting for my girls to work with older and often easy to use analog synth gear. Note I have taught them well to respect the gear in case those cringe that I’m letting a couple of young kids use an expensive Roland SH-101…laugh. They love the Roland SH-1 because of all the buttons and sliders which allow them to learn and understand how to create the sounds. Synthpop is also rather easy to play for kids compared to classical or jazz keyboard so the kids can get into “band mode” rather quickly. Both my kids are in elementary school so I can only imagine what they’ll be doing once they hit Junior High. 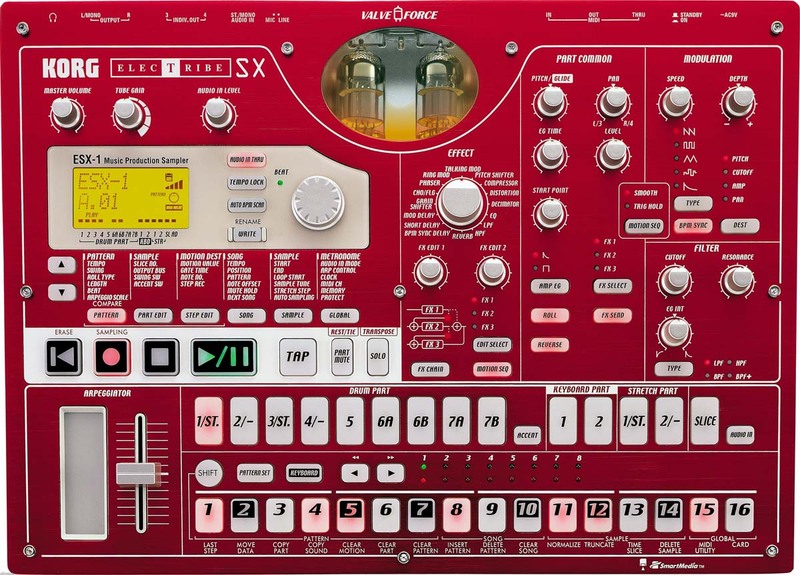 The Roland SH-101 is a fantastic synth and I usually hear nothing but rave reviews about it. Sure the sound and style is not for everyone but I’m glad this Holiday season I’m finally able to pick one up. It’s kind of a dream come true for me. I’m just hoping it all works as advertised when I get the SH-101 early next week. Here is Trans-X “Living in Video”. Later in the video you can see the Roland SH-101 is used by the lead singer. My daughters and I love this group and listen to their songs in the car all the time here in Japan. 3D Dance is another favorite by Trans-X. Here’s a good video of the Roland SH-101 in action for those not familiar with it. Well it seems I was sold a red SH-101 with a dodgy power switch. There is NO WAY the owner would not have known about this so I’m a bit disappointed in them and will not be purchasing from them again. Buyer beware when purchasing from “akahardoff” @ http://myworld.ebay.com/akahardoff . I purchased an MKS-50 before and that transaction was good so I bought from him again, however, this power switch clearly is having problems. I should be able to fix it, but now I know why it was sold so cheap. There were problems and they weren’t clearly communicated. I’m batting 50/50 with this individual right now so buyer beware with akahardoff in Japan. A few days ago, I found a used Roland D-50 in excellent condition but it had a lot of crackling, static noise, and pops when using photo headphones and stereo outputs. The sales clerk at the used music shop here in Nagano-city Japan had no idea what the problem was so he sold it to me for $50 bucks. I honestly didn’t know what the problem was nor did I really know how to fix it either. In addition, I already have two working Roland D-50 synths and couldn’t believe I was bringing a third one home. I thought I could at least use this one for parts to keep my other two D-50 keyboards running. Thus I thought it was a good deal and a good reason to get it. The first thing I did when I got home after confirming the static problem was to get out some DeoxIT and spray the volume and aftertouch sliders. I then sprayed all of the output jacks as well. 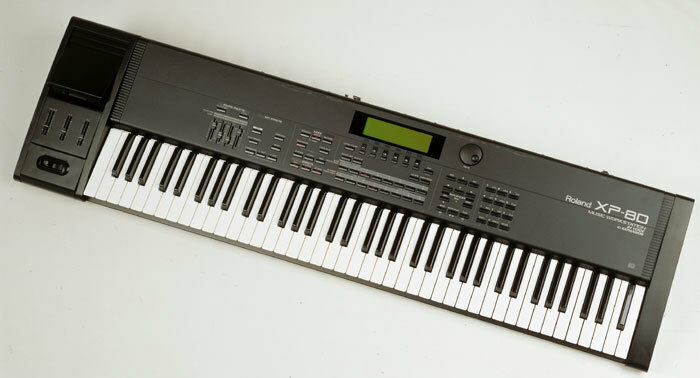 The keyboard remained noisy with some snap, crackle, and pops but after about 3 to 4 hours the Roland D-50 became eerily quiet. I tested out all the keys with several different sounds which all work and sounded fantastic. It seemed like the DeoxIT spray cleared up the problem. I can now say that after a couple of days of extensive playing, the Roland D-50 is as good as new now. So I feel really lucky to have found this working Roland D-50 for such a low price. Now I need to determine if I really need a third working Roland D-50 in the house. Currently I have my “best of” Valhalla patches in it and they sure sound great. It’s amazing at how analog the Roland D-50 can sound with the right patches. It’s one of my favorite keyboards for sure and one I’ll always have in the studio. Here is “Synthfreq” doing a short example of the famous patch “Living Calliope” on the Roland D-50.